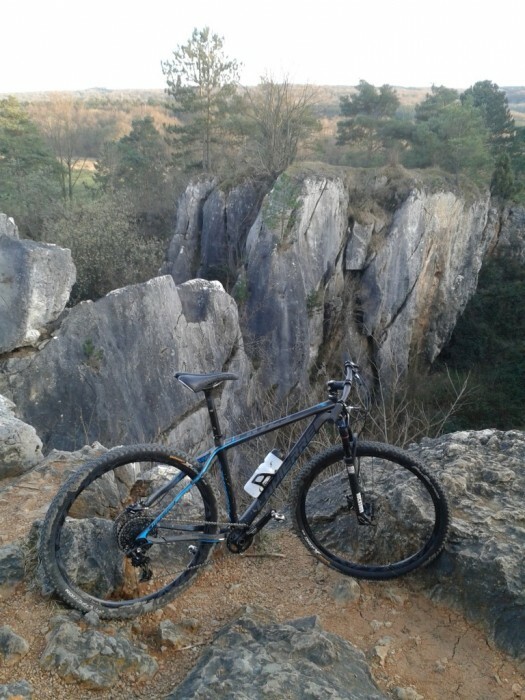 I will talk about my « war machine » for XC races and training, the Lapierre Prorace 729. 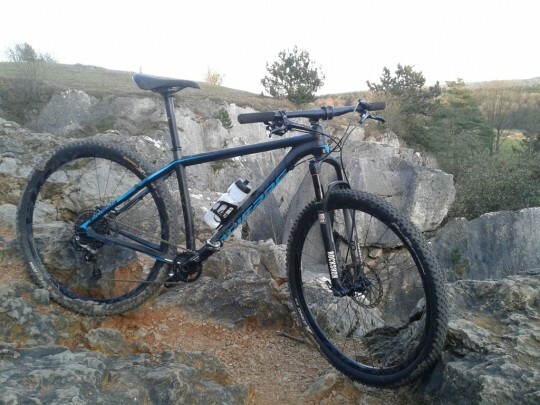 It was really new for me to ride on a 29” bike, and I was really surprised. It’s light, comfortable and very reactive. I really like the design of the frame. It’s sober, with just a few electric blue lines. Beautiful! With the X01 group, it’s really refined because no front derailleur. And it has a big advantage, easy to clean! It was the first time that I tried a 1×11 transmission. I was a little bit afraid because of the development but I’m finally really satisfied with it, it works perfectly. It’s fast and precise. I could easily forget my hand left shifter! 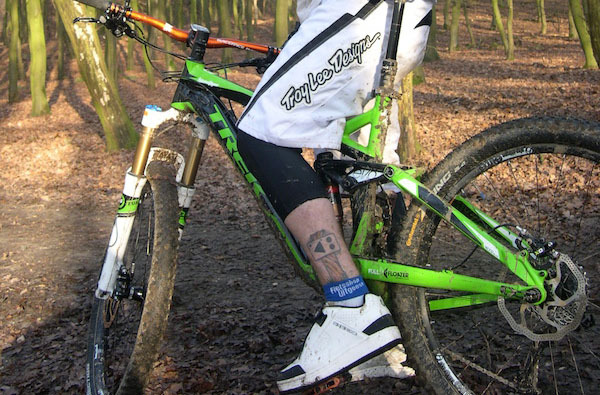 The fork is a Rock Shox Sid 29’’. It’s light and works very well. Maybe it could be a little bit more flexible. But I think I need to adjust settings. The Easton EA70 wheels are mounted with Continental X-King tyres. They are light and really polyvalent, good in the mud and on dry ground. My first impressions were great. Riding really fast when it’s flat or in climbs, having a lot of fun in slopes. The bike is manageable and pleasant to pilot. Let’s have some fun!